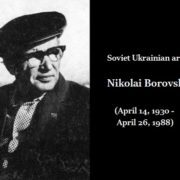 Soviet Ukrainian artist Nikolai Borovsky (April 14, 1930 – April 26, 1988) – Member of the USSR Union of Artists (1964) and Honored Artist of the USSR (1984). 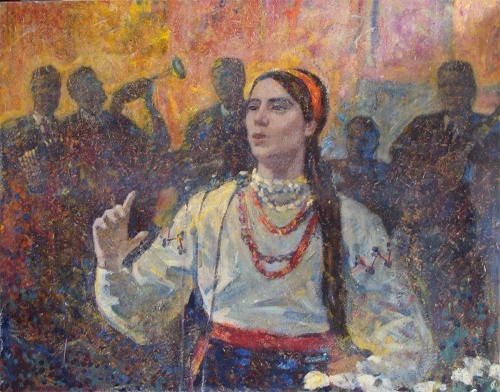 Born 14 1930 in Svetlovodsk, Nikolai Stepanovich Borovsky graduated from Dnepropetrovsk Art school with honors (1953). His teachers were M. Pogrebnyak and A. Kuko. 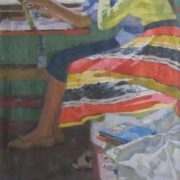 Then, he studied in Kiev art institute (1956-1960). 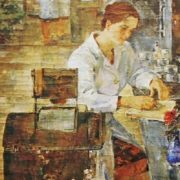 In particular, the historical and battle workshop of the People’s Artist of the USSR, GS Melikhov, and his teachers were M. Khmelnitsky and M. Ivanov, the diploma work – “Koliivshchina”. Since 1960 he taught at the Art College in Dnepropetrovsk. 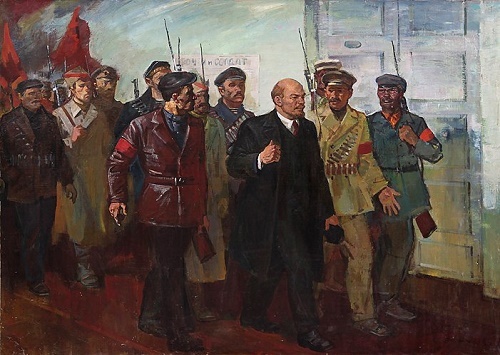 In addition, he took part in exhibitions of Soviet Art. Borovsky worked in the field of easel painting, and created canvases, portraits, landscapes and still lifes. 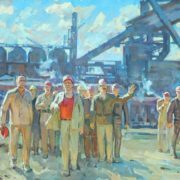 In 1966 he received the III prize of the Central Committee of the Komsomol of Ukraine and the Union of Artists of the Ukrainian SSR for the painting “Worker. Year 1928». And his first solo exhibition took place in 1980 in Dnepropetrovsk. Nikolay Stepanovich died on April 26, 1988 (Dnepropetrovsk, Ukrainian SSR). 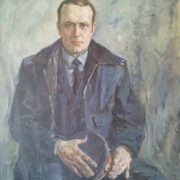 His works are in the Dnepropetrovsk Art Museum, the Dnepropetrovsk National Historical Museum of DI Yavornytsky, and the Museum of Ukrainian Painting (Dnepropetrovsk), as well as private collections.